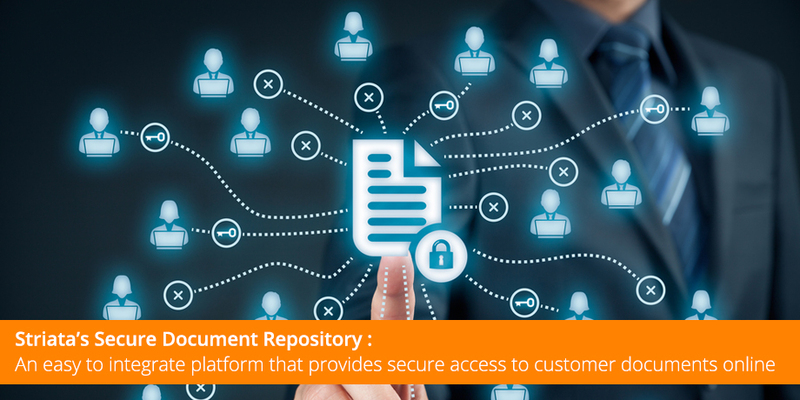 The SDR provides a secure, convenient, online location for organisations to store documents where they can be accessed by either customers or the representatives servicing those customers. This is a complementary solution to Secure Document Delivery (SDD) which enables the distribution of secure, electronic documents, such as invoices and statements, to customers by email. The SDR assists organizations to move to paperless environments, with the cost and security benefits that such a move enables. The combination of SDD and SDR enables Striata to deliver a comprehensive digital customer communication solution to its clients. SDR plugs into the existing interfaces that customers use to interact with a company – mobile, web portal, email or the customer service center. SDR requires minimal set-up and customization, unlike many document management platforms, and offers easy integration via a common API (Application Programming Interface). Get more information on Striata’s SDR here.